"The Bulletproof Diet," an anti-inflammatory program for hunger-free, rapid weight loss and peak performance. "The Bulletproof Diet" will challenge--and change--the way you think about weight loss and wellness. Homeopathy is an approach to medicine based on the principle that any substance that can cause illness can also be a cure. The Complete Homeopathy Handbook is the definitive guide for using homeopathic remedies at home. Many conditions that cause chronic pain cannot be cured, or the process of treatment is a long one. This title does not focus on a cure, rather on managing the pain to allow the patient to become more active and to improve the quality of life. Getting Better Bite by Bite is an essential, authoritative and evidence-based self-help programme that has been used by bulimia sufferers for over 20 years. How to cope successfully with sleeping well : the drug-free away / Beth MacEoin. by Beth MacEoin. Good, restful, sleep is an important part of your total health, sufferers from sleep problems would give a lot for a good night's rest. This book contains positive strategies to solve sleep problems and break the negative cycle. A classic of patient empowerment, Peace, Love & Healing offered the revolutionary message that we have an innate ability to heal ourselves. Now proven by numerous scientific studies, the connection between our minds and our bodies has been increasingly accepted as fact throughout the mainstream medical community. "Love and peace of mind do protect us," Siegel writes. "They allow us to overcome the problems that life hands us. They teach us to survive...to live now...to have the courage to confront each day." The Perrin technique : how to beat chronic fatigue syndrome/ ME by Dr. Raymond Perrin. 500 of the most important health tips you'll ever need : an A-Z of alternative health hints to help over 250 conditions by Hazel Courteney with Stephen Langley and Gareth Zeal. Packed with the latest cutting-edge alternative research, 500 Of the Most Important Health Tips You'll Ever Need has become the leading A-Z alternative healthcare manual on avoiding and treating a huge range of health problems. The solution for chronic inflammation, regarded as the cause of most common modern diseases, has been identified! It is something right beneath our feet-the Earth itself!Throughout most of evolution humans walked barefoot and slept on the ground, largely oblivious that the surface of the Earth contains limitless healing energy. 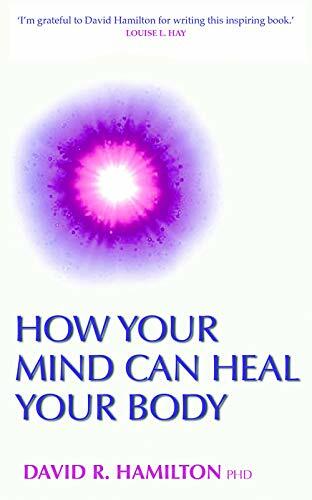 In this compelling and groundbreaking new book Dr David Hamilton shows how the mind can have the power to heal the body. Here he describes the power of positive thinking and how thoughts and emotions mould the structure of the brain and change our body at a cellular level. You are the placebo : making your mind matter by Dr. Joe Dispenza. Call Number: Dr. Joe Dispenza. In You Are the Placebo, Dr Joe Dispenza explores the history, the science and the practical applications of the so-called placebo effect. This book teaches a model of personal transformation that correlates with the placebo effect, without the need for any external influences. Overcoming health anxiety : a self-help guide using cognitive behavioral techniques by Willson, Rob. / Veale, David. Overcoming Chronic Fatigue: a self-help guide using cognitive behavioural techniques. by Burgess, Mary.